LookAt is a video collaboration cloud for creative teams to share and discuss work in progress. 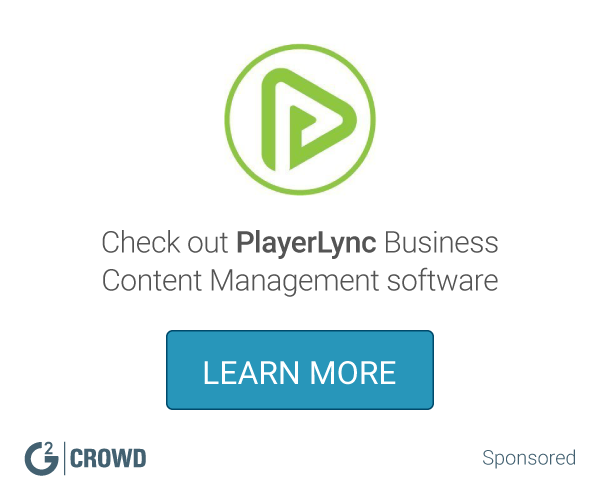 What Business Content Management solution do you use? With SharePoint you can manage versions, apply retention schedules, declare records, and place legal holds, whether you're dealing with traditional content, Web content. Dropbox Business allows companies to securely manage and share files across teams and devices, set file and folder permissions, and connect personal and business Dropbox accounts. With Microsoft OneDrive you can store any file on your SkyDrive and it's automatically available from your phone and computers. No syncing or cables needed. Box lets you store all of your content online, so you can access, manage and share it from anywhere. Integrate Box with Google Apps and Salesforce and access Box on mobile devices. Sharefile allows you to create a custom-branded file storage & sharing solution, password-protected space where you can exchange business files with clients easily and securely. BlackBerry® Workspaces (formerly known as WatchDox by BlackBerry) is a modern, highly secure file management platform that enables effortless, multi-OS synchronization and sharing. Workspaces solutions limit the risk for data loss or theft by embedding Digital Rights Management (DRM) security into each individual file, so your content remains secure and within your control, even after it is downloaded and shared outside of your organization. Simple online file sharing and project management software for SMBs. Online collaboration tool to increase productivity used by 20,000+ businesses. iManage software enables teams to work together securely with the exploding volume of documents and email from any location, using any device. WorkSite is a simple-to-use document management system that can be deployed across your organization quickly, with minimal training and at a low total cost, for a rapid return on investment. GatherContent is an online platform designed to help teams easily organise, structure and produce content. Adobe Business Catalyst is a hosted application for building and managing online businesses - without coding. * We monitor all LookAt reviews to prevent fraudulent reviews and keep review quality high. We do not post reviews by company employees or direct competitors. Validated reviews require the user to submit a screenshot of the product containing their user ID, in order to verify a user is an actual user of the product. Hi there! Are you looking to implement a solution like LookAt?